Speaking on CNBC’s Fast Money, Fundstrat’s Robert Sluymer mentioned that the Bitcoin Price has been dropping in a short-term even though in the long term the trend remains bullish. For Sluymer, the predictions made by Tom Lee, CEO of the firm he also represents, are not far from reality, and although he failed in his short-term forecasts, it is entirely possible that 2018 will close with a Bitcoin Price of more than $25,000. The analyst mentioned that the market is testing some levels of supports and resistances in order to determine a solid trend. The most critical supports are the $7350 and $7000 levels, which confirm a bearish trend. He considers the $7060s margin as a worrying mark. During the year, Bitcoin Price has reached these levels and then recovered. As for the critical resistances, he mentioned in the short term the $7800 band as the one that would confirm a bullish trend. Currently, the Bitcoin Price is – according to coinmarketcap – $7639, which would bring it closer to the bullish team than to the bearish. Bitcoin is the cryptocurrency taken as a base in the ecosystem of crypto users, so its prices serve as a trend for the rest of the altcoins. Also, Mr. Sluymer accepted that although they could not foresee such a sharp fall in Bitcoin from 19k to current prices, they were undoubtedly aware of a possible trend breaking. 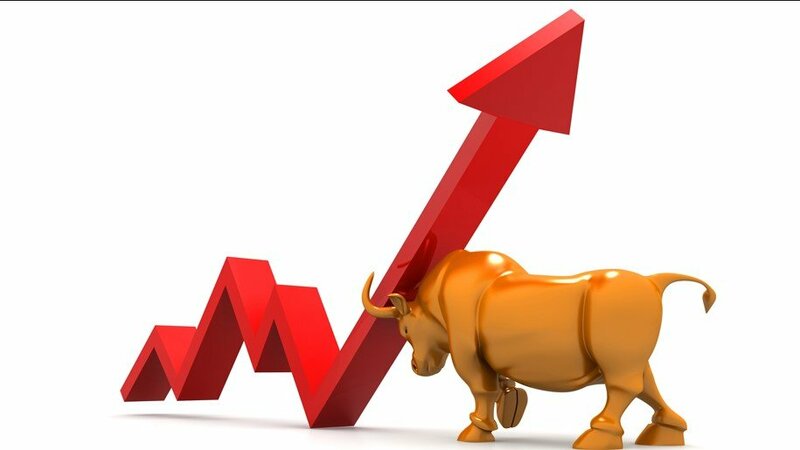 He also commented that as well as they forsaw that event, they now think a bullish trend may occur in the near future. Other strong bearish analysts believe that bitcoin can reach levels as low as 3k, but these predictions are less credible, at least in the short term. 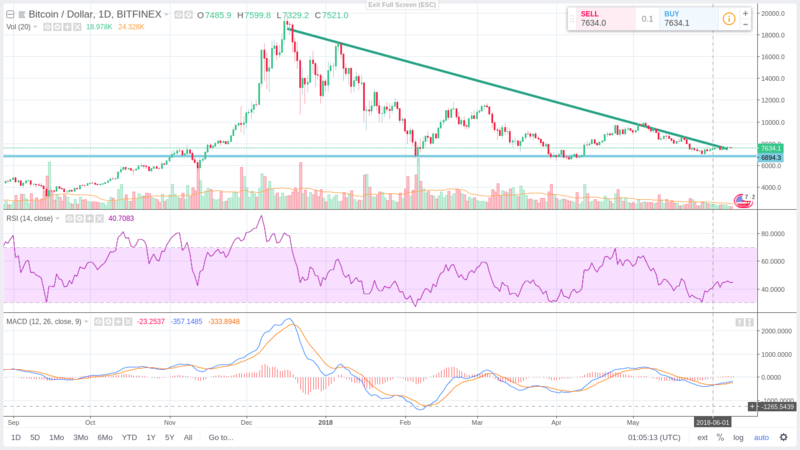 The Bitcoin Price performance has been bearish, resisting in the band around 7k; however, the triangle pattern, as well as other indicators, may point to a breakout in the trend. Fundstrat is one of the most active technical analysis companies in the world of crypto money. Several Shows and Conferences usually invite Tom Lee, its CEO, to talk about cryptocurrencies behaviors. Previously, Mr. Lee created a method to measure the feeling of Bitcoin Hodlers: the Bitcoin Misery Index. According to this indicator, it is advisable to buy bitcoin right now because according to the predictions, when it reaches its minimums, there is a high probability of obtaining strong income in 1 year.